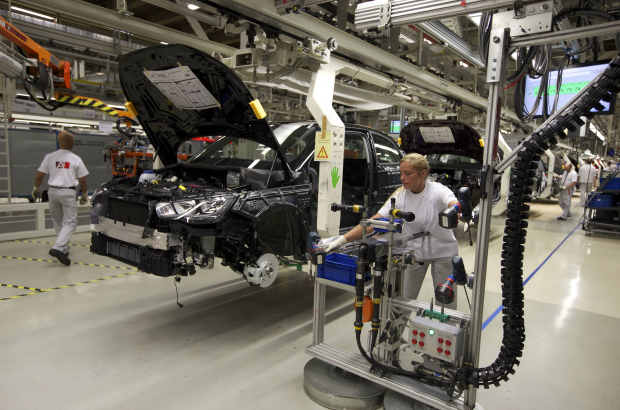 Wednesday was the end of an era for the Audi car plant in Brussels, as its last Audi A1 rolled off the production line. The A1 was the first of the German car manufacturer's models to be built exclusively in Forest. Since 2010, more than 909,000 of the vehicles have been built, with the top markets being Germany, the UK, Ireland and France. Belgian drivers bought 30,000 of the home-grown vehicles. "The employees have raised our littlest Audi for the past eight years, achieving great results," said Audi's production and logistics director Peter Kössler. "The Audi site in Brussels is very reliable and successful." Production is now moving to Spain and the Brussels plant will instead concentrate on building Audi's first all-electric vehicle, the e-tron, which is due to go on sale this autumn.